Male purplish copper butterflies (Lycaena helloides), when viewed at the right angle, have a purplish sheen to the upper wing surfaces. This widespread butterfly is found in moist and boggy areas from the Great Lakes west and south to Baja California. The larvae feed on knotweeds, docks and cinquefoils. 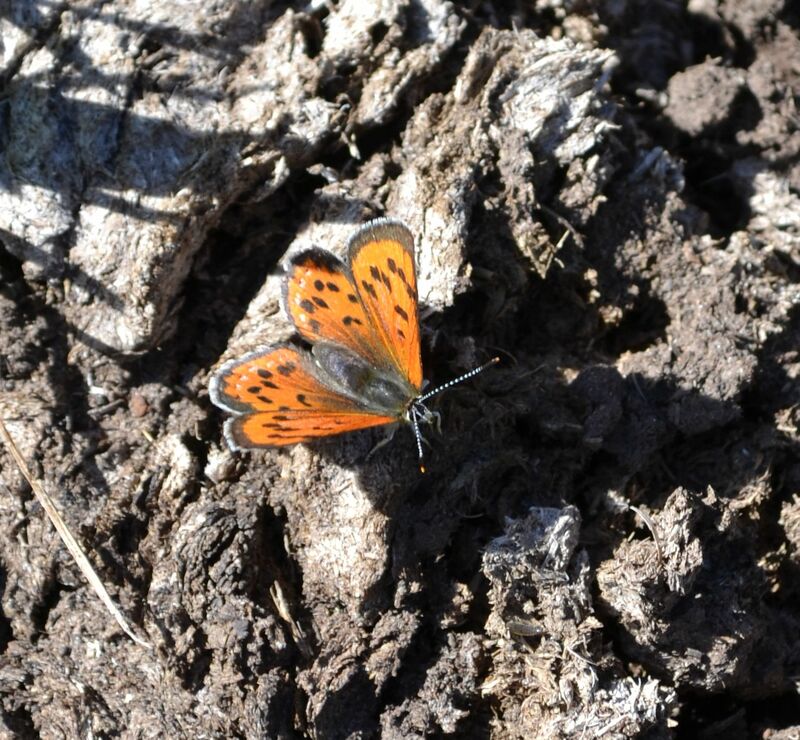 Rather than alight on a a pretty flower, this purplish copper was photographed on aged cow manure in the Dan Ryan Meadow next to Ash Creek (Lassen County CA). This entry was posted in Butterflies, Insects and tagged butterfly, Lycaena helloides, nature photography, purplish copper. Bookmark the permalink.